For these three items, I paid a total of 110 pesos shipping fee. Note: you're only allowed to get three samples per transaction. The fourth item is considered a new transaction (and therefore requires a separate shipping fee). 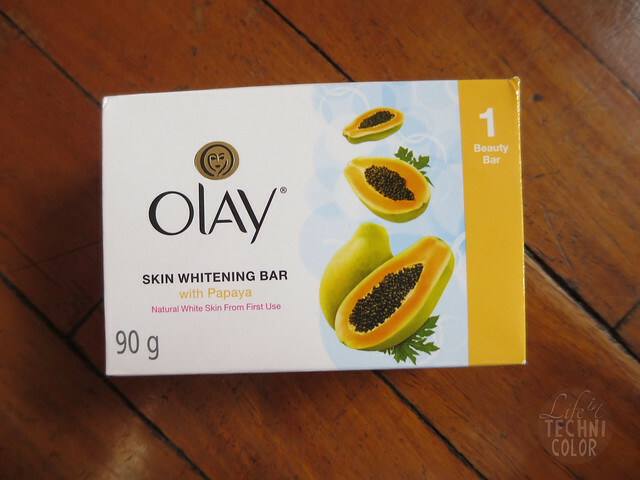 The Olay Whitening Bar has three variants - Vitamin C, Rose and Milk, and Papaya. I've already tried the first two and as I mentioned in my first Sample Room haul, both lathers and moisturizes well. I feel that my skin has gotten lighter after using these, and it leaves me feeling clean and fresh all day. They say that the most effective whitening soap are those with papaya extract, but more often than not, they smell strongly of papaya. 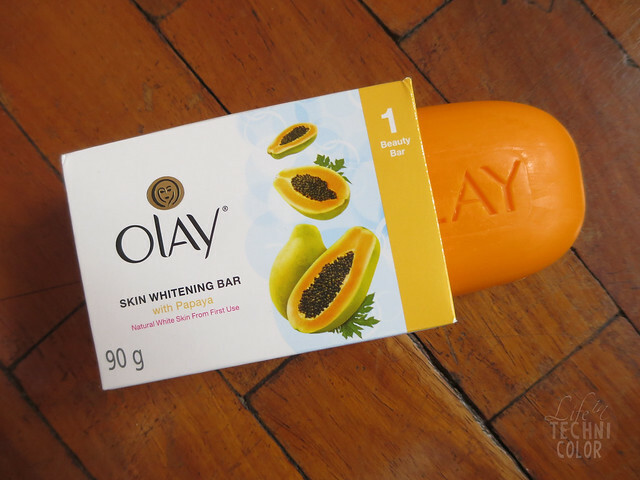 The Olay Whitening Bar with Papaya doesn't. 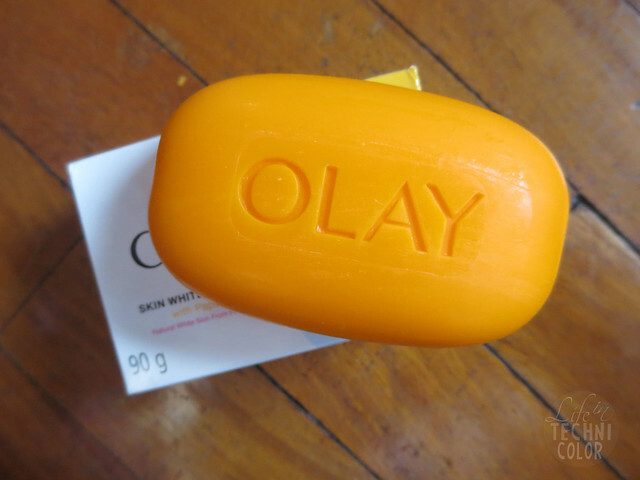 The scent is very light, so it doesn't stay on for too long, plus it makes the skin soft and smooth after every use. I just feel like it makes me itchy. I'm not sure if I want to keep using it. When I got myself the Zenutrients Aloe & Calendula Head to Toe Cream a few weeks ago, I thought it would be a good product to use on my face too. Since it is formulated for people with sensitive skin (especially those with psoriasis eczema), I figured it would help nourish the dry spots on my forehead and cheeks as well. And it worked! 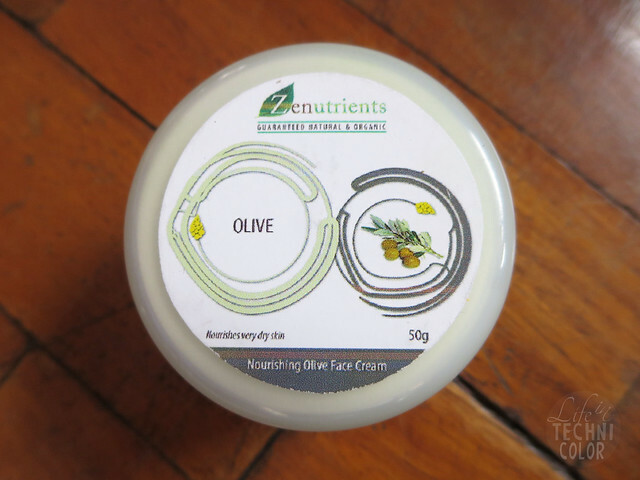 So recently, I decided to get myself a proper face cream from the same brand - Zenutrients! Their Nourishing Olive Face Cream is made with coconut, avocado oils and grapefruit extract, so compared to their hand to toe cream, this one has a stronger scent. I wish it didn't, because even though it doesn't feel sticky on the face, having it as the last thing I smell at night just doesn't work for me. It is a great moisturizing cream though. 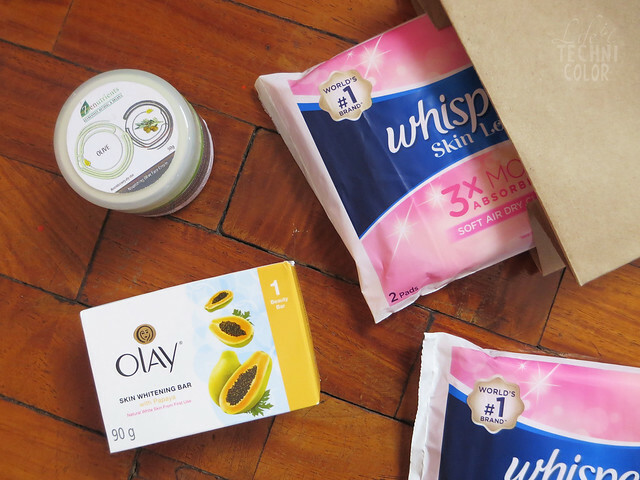 My face feels soft and new in the morning, just like a baby's bottom! I honestly don't want to wash my face because I worry the softness would disappear. But yes, it is a very effective product, I just don't like the scent very much. 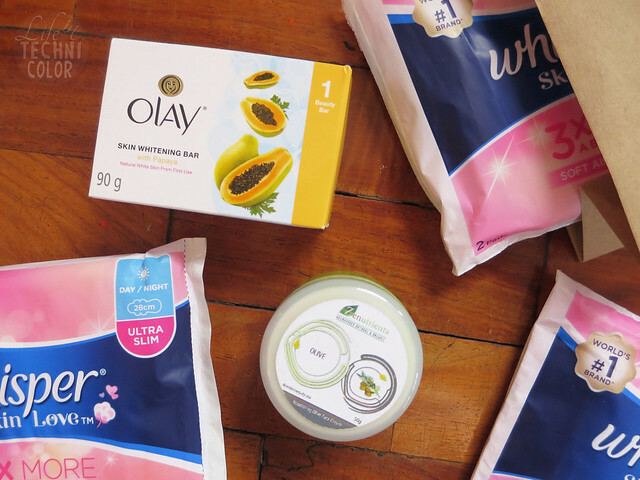 I never thought I'd ever find myself writing about feminine pads, but here we are. Haha! Whisper Skin Love Day/Night Pack is designed with a gentle to skin, Japan-designed Air Dry Cushion Topsheet for 2X more air flow (vs Whisper Cottony Clean), for a more breathable and comfortable experience. 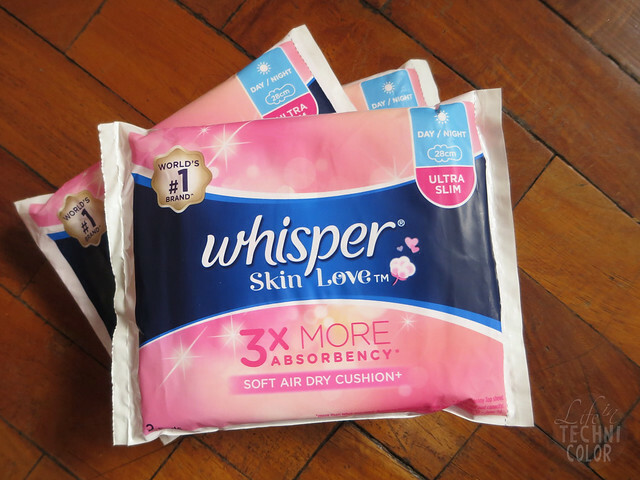 Even at 1/3rd the thickness, Whisper Skin Love guarantees 3X more absorbency by pulling wetness deep into the bottom of the pad and away from your skin, to keep you fresh and confident. 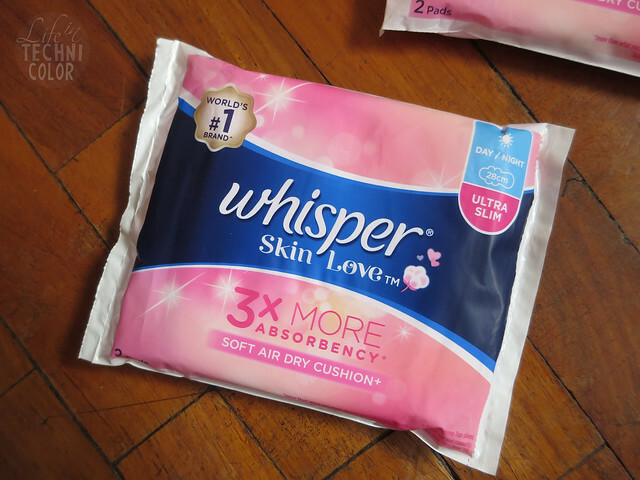 So yes, compared to the current pads I'm using, the Whisper Skin Love is definitely more absorbent. It's really thin too - almost as thin as a regular pantyliner, so it doesn't feel uncomfortable like other pads. It's an amazing product that's best used for days when you have to wear skinny jeans or dresses. So overall, I paid 110 pesos to receive 227.75 pesos worth of samples for free! Will I repurchase the items? 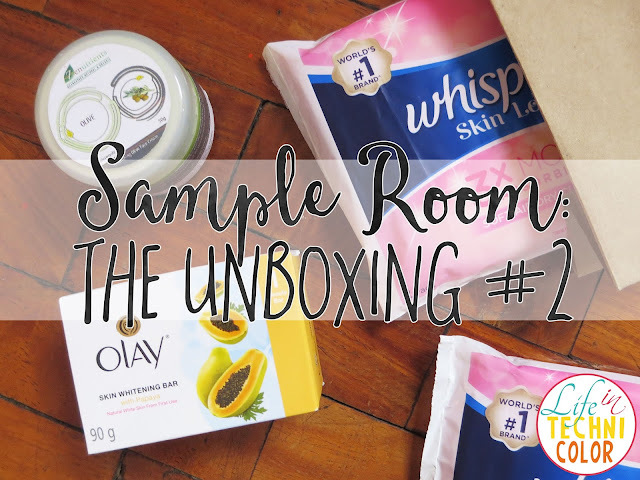 After comparing all three variants of the Olay Skin Whitening Bar, I will probably buy the Rose and Milk variant again since I like its fresh scent the most. 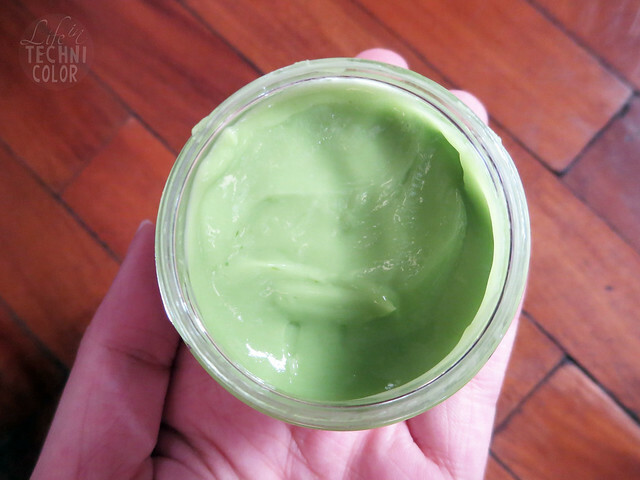 Secondly, I'll keep using the face cream for now, but not sure if I'll go out of my way to repurchase it. If ever I do, I'll probably go with just one Zenutrients product at a time - so either the Hand to Toe Cream or the Face Cream - since I feel they serve the same purpose anyway. The feminine pads are great to use on heavy red days and with tight-fitting clothes; other than that, I'll probably stick with my old pads since they're cheaper.